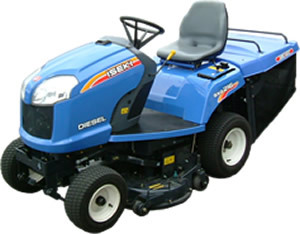 The ISEKI’s brand-new ride-on mower SXG216 offers excellent mowing performance and good maneuverability. The large displacement diesel engine with 688cc gives enough power and torque on even tall and dense grass. Integrated design including grass collector creates stylish image. Ergonomic control layouts make operator comfortable during the drive. SXG216 has suitable body size which can be loaded on small truck or trailer for transportation. Compact body gives good maneuverability in narrow space. 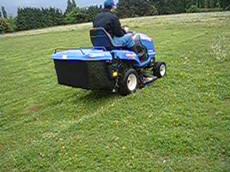 Grass collector can be attached and detached quite quickly and easily. The mowing with 60 mm overlap mower deck shows a beautiful finish on the ground without leaving uncut grass. 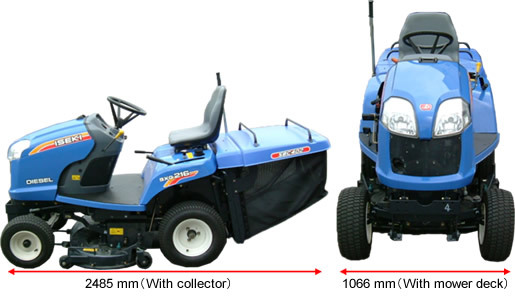 After repeated tests and studies to reduce noize and vibration level, we have achieved quite low noize and low vibration in the compact ride-on mower category. The SXG216 complies with EU safety standard which requires any rotating parts within the reach of operator’s hand and foot to be fully covered. 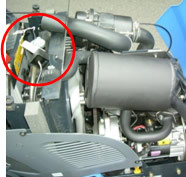 Furthermore, engine stop system of safety function is included as standard. 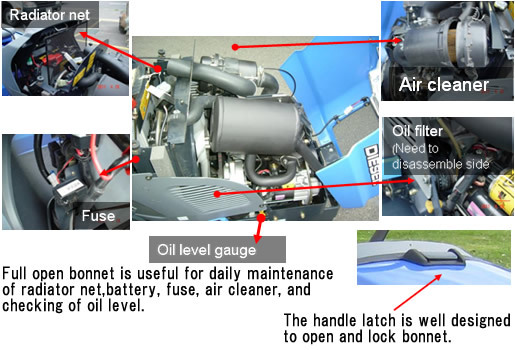 Whenever bonnet opens, engine stops automatically. 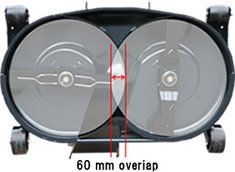 The operator’s space is wider by 140 mm than that of old model. 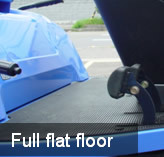 Full flat floor makes operation more comfortable which can cover the width of rear tires for safe drive. 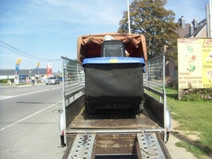 In addition to manual dump collector, we can offer hydraulic assist dump collector. 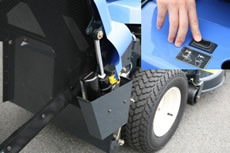 The grass collector can be easily dumped or closed just by pushing the feather touch switch. 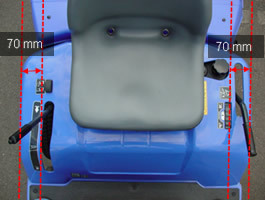 Grass cutting height can be adjusted by operator within the reach from the seat position. The height adjustable dial with scale allow the operator to select the suitable cutting height. Lever Guide (integrated fender) Std.